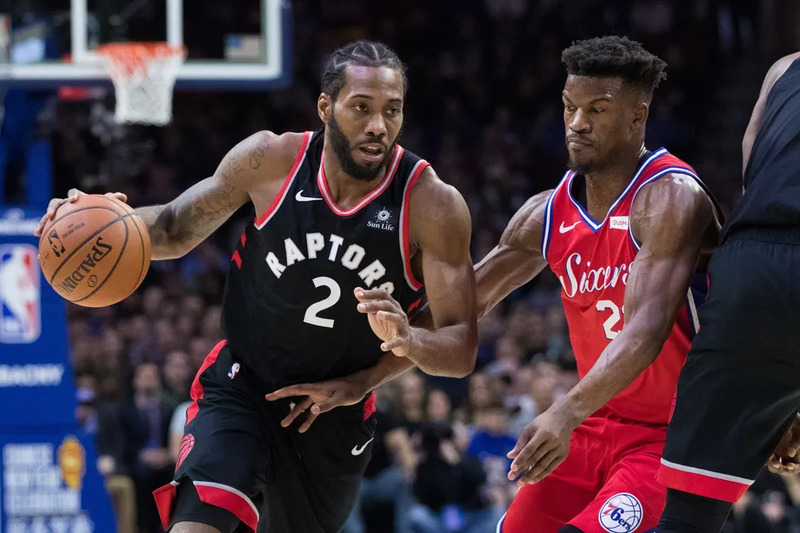 The Toronto Raptors began their road trip with a win in Philadelphia on Tuesday night as they defeated the Philadelphia 76ers, 119-107. Kawhi Leonard scored 24 points and had seven rebounds as he did most of this work from the free-throw line, going 16-17. Serge Ibaka recorded a double-double as he scored 20 points and grabbed 10 boards, Kyle Lowry also scored 20 points and shot 5-9 from three. Pascal Siakam scored 16, Norman Powell had 14, and Greg Monroe scored 10 and grabbed seven rebounds in 18 minutes. Joel Embiid had a strong night as he scored 37 points and grabbed 13 rebounds. He also shot 50% from the field and 93% from the free-throw line. Ben Simmons scored 20, Jimmy Butler scored 18, and Furkan Korkmaz scored 11 off the bench. The Raptors surprisingly out-rebounded the 76ers 42-34 as Toronto were still without the presence of Jonas Valanciunas and considering Embiid had 13. This Raptors group has good chemistry from the starters to the bench. Kyle Lowry always seems to play good basketball in his hometown of Philadelphia. Leonard had three assists on the night, including this no-look pass to Powell. Toronto continues their road trip on Thursday to take on the Atlanta Hawks at State Farm Arena. Featured image from Bill Streicher/USA Today Sports.